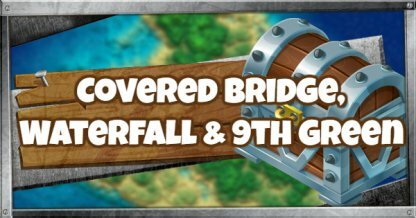 Fortnite's Week 10 Challenge Guide includes Search Between a Covered Bridge, Waterfall, and The 9th Green location, jigsaw puzzle pieces locations, maps, & walkthroughs for your hidden treasure, Secret Challenge and more! 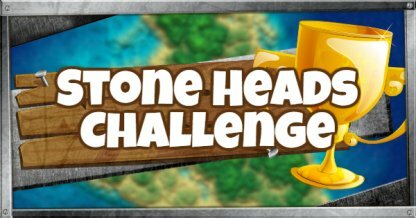 Tips and guides to quickly finish these challenges. 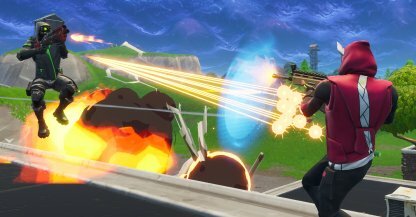 Free Challenges are available to everyone even without a Battle Pass. Available to players who have purchased a Battle Pass. 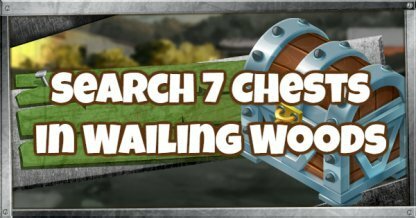 After completing the weekly challenges, check out how you can unlock and complete Secret Challenges! 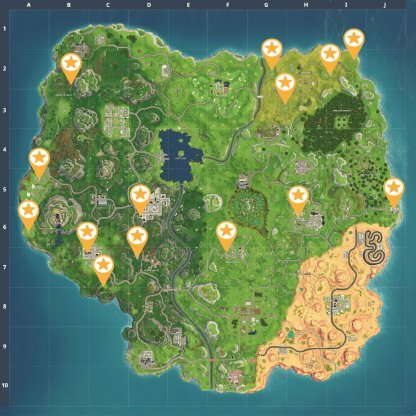 Finding a Secret Battle Star will award you with 10 Battle Stars or 1000 XP. Banners are cosmetic items that are unlockable only on this Season. 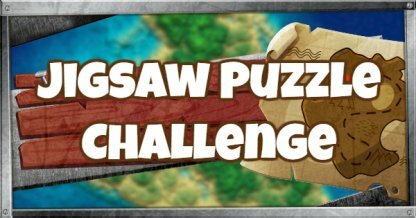 The above image shows confirmed Jigsaw Puzzle Piece locations.Check back regularly as more information regarding jigsaw puzzle pieces are confirmed. 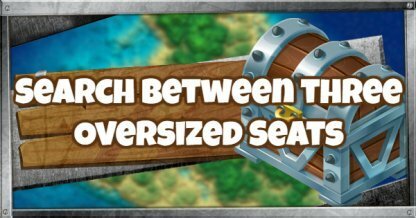 The image above shows the different points of interest where the Challenge asks you to search between! 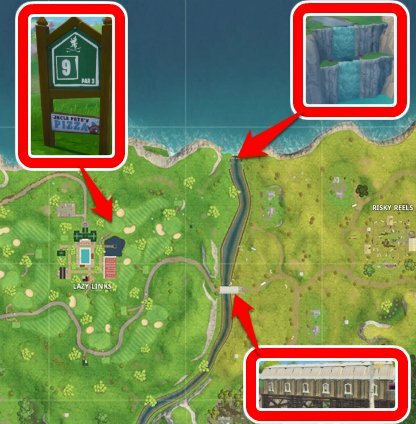 The area is between Lazy Links and Risky Reels, on the Northern part of the Map! Check Out This Search Between Guide! 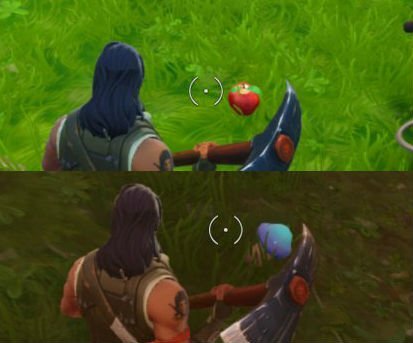 Apples or Mushrooms heal you for a bit of your health or shield respectively when consumed. 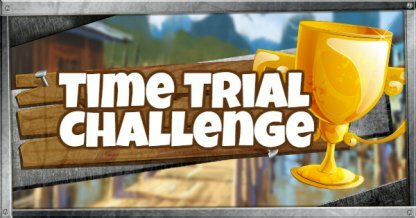 To complete this Challenge, you will need to consume any combination of 20 Apples or Mushrooms. 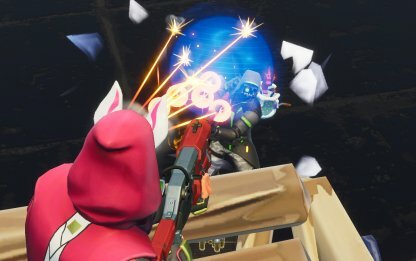 You can finish this challenge by dealing a total amount of 5000 Damage to opponents. 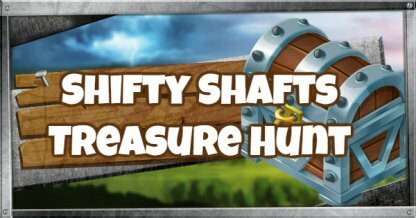 Check out the link below to learn more about the Best Weapons you can use to quickly finish the job! 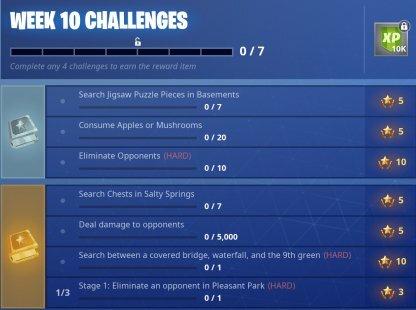 Plain and simple, eliminate 10 opponents to finish this challenge! Get out there and start shooting! 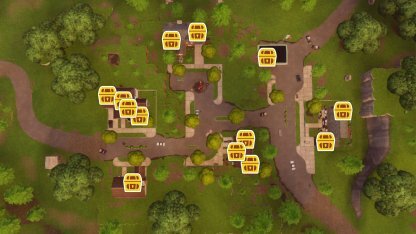 To complete this Challenge, you will need to search 7 Chests in Salty Springs. 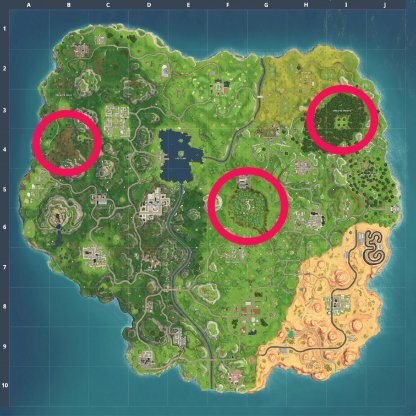 Above is an image of possible Chest locations in the area. 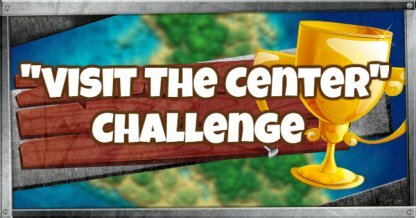 This Challenge will need you to eliminate an opponent on different named areas of the map. 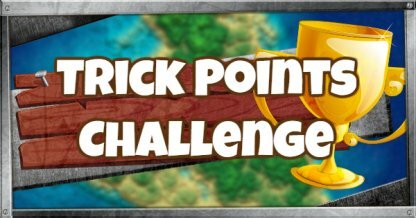 You will only unlock the next stage of the challenge in your next match after completing your current stage. 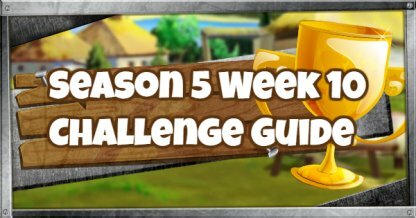 Basing off past weekly challenges, there may be 3 stages to this challenge. Check back regularly as this will be updated when more information is confirmed.